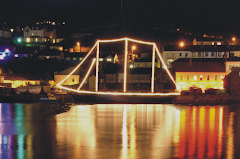 This Friday will see the triumphant return of Bideford's own tall ship the Kathleen and May. After a busy summer sailing the Bristol Channel and Irish Sea as well as across the Channel to France, where she picked up wine to deliver under sail to Dublin for a environment transport company. 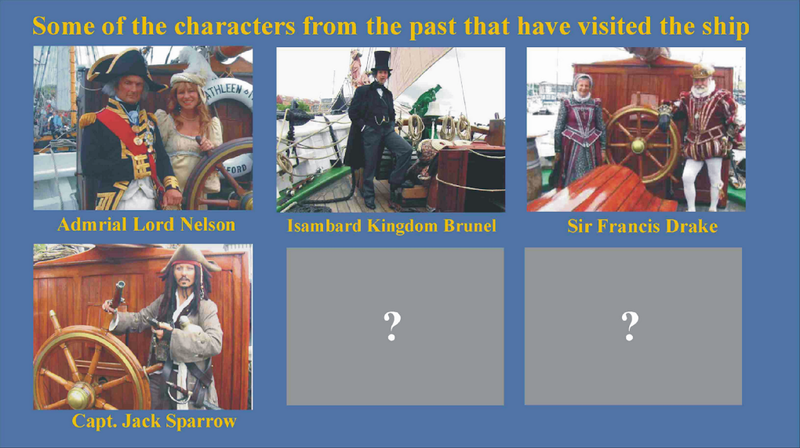 This year has been a exciting time for both the ship and the crew visiting many new ports for the first time since her restoration including Padstow, an old haunt she once traded to, as well as Plymouth - her home in the 70’s when owned by the Maritime Trust. The people of Plymouth turned out in huge numbers to see the ship and come onboard, some for the first time, whilst others recalling stories from yesteryear. 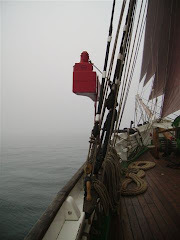 "Dartmouth was a great place to visit" said Bill Hudson, ship’s bosun. "We opened to the public there and sold wine from the ship on warm music filled nights to the backdrop of vintage yachts." Bristol to was a regular drop-off for the ship this year visiting 3 times, once for the Harbour Festival, in the centre of the city. As July became August the crew fought on through the best of British summers and round Wales, stopping off briefly in Milford Haven to take shelter from a passing storm. Once up the Irish Sea Whitehaven in Cumbria was a must-see place to go. The Maritime Festival there saw in excess of 110,000 people come to the town. Crew member Adam Tuck (14) said, "This is so cool I have seen so much this year and done so many new things." Also on the agenda this year was a little port in Southern Ireland call Dundalk. "The welcome there was so warm from the people there was a large turn-out for such a small town." Charter passenger Lorraine Harris said, "To be involved in bringing this much history back to a schooner port like this means so much to these people." 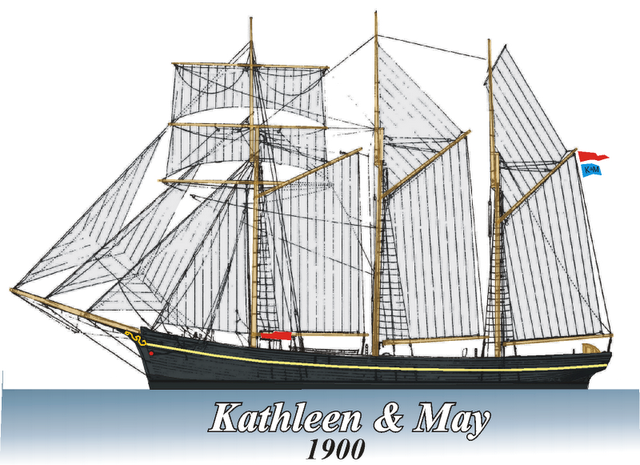 This year has seen the Kathleen and May sail the Bristol Channel once more in the company of her old sister ship the "Irene," which was burned out in the Caribbean in 2002. She has since been rebuilt and is back to sailing condition. These two ships were once a familiar sight together in the westcountry ports. It was a emotional moment for Sacha Hall, Sail Master who has worked on both ships, when they met again for the first time in more than forty years in the Bristol Channel. “There was a tear in my eye when she rounded the headland and we passed down the welsh coast abeam of each other." 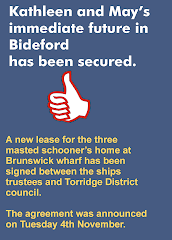 So come down to the town and welcome the ship back in this Friday. She will cross Bideford Bar about 5.30pm and be on the quay at 6.15, returning to her berth at the top of that tide. She will be open to the public on Saturday and Sunday in the yard from 1200 to 1700. Make the most of her return. We will have wine onboard to sell. 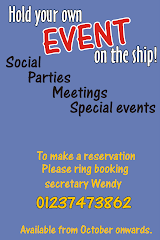 Tall ships are major attractions across the world. My family and I attended a festival in Boston last year featuring tall ships. A lot of people coming from different states were amazed by the grandeur of such vessels. A lot of boat owners docked at marinas in Boston to be able to visit the different shops in the shipyard's village. We usually anchor at the marinas (Boston Ma) for repairs or boat inspections. Visiting the tall ships is definitely a great experience. I hope to see more of them this year.